Clip Clayton Anderson Bullet Space Pen. 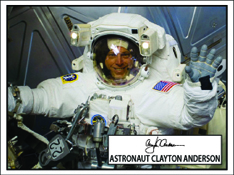 Please support National Astronaut Day and this notable charity by purchasing your very own Astronaut Signature Space Pen! 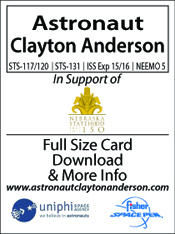 This particular model is specially customized for Astronaut Clayton Anderson, www.AstronautClaytonAnderson.com, and 5% of the retail price will be donated to Celebrating Nebraska Statehood, www.ne150.org. The Astronaut Signature Pen Series, an Agency exclusive collaboration with Fisher Space Pen Co.™ and Uniphi Space Agency. www.uniphispaceagency.com, a division of Uniphi Good LLC, features a diverse range of pen styles and charity partners, all personally selected by each participating Astronaut. Each Special Edition pen has an engraved Astronaut signature, as well as an Astronaut and charity specific card inside each pen box. 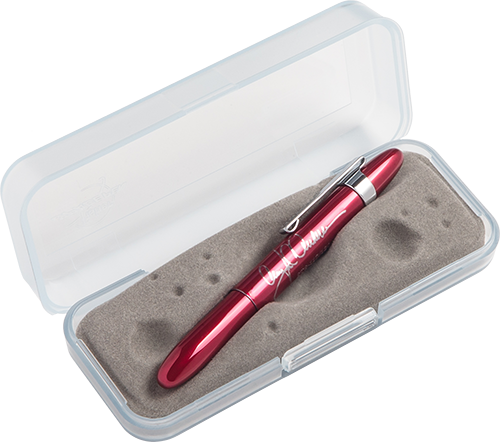 5% of the retail price for each “Astronaut Signature Pen” will benefit the selected charity.